HIMYM: A Band o a DJ Promo foto. . Wallpaper and background images in the How I Met Your Mother - E alla fine arriva mamma! 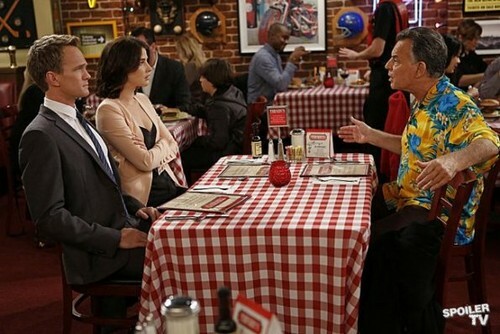 club tagged: how i met your mother season 8. This How I Met Your Mother - E alla fine arriva mamma! photo contains birreria, brasserie, ristorante, mangiare, mangiare posto, casa, eating place, eatery, and bistro. There might also be sala da pranzo, sala riunioni, and sala consiliare.